Composting uses microbiological metabolism to degrade organic materials and reduce pathogens by increased heat and increased microbial diversity. This process provides value to society and the environment in numerous ways. There are benefits both to the use of the process and use of the product – Compost! Compost is the organic-rich, thermally-treated, biologically-stable, degradation product of an aerobic degradation process. However, there are as many types of compost as there are feedstocks and different uses. 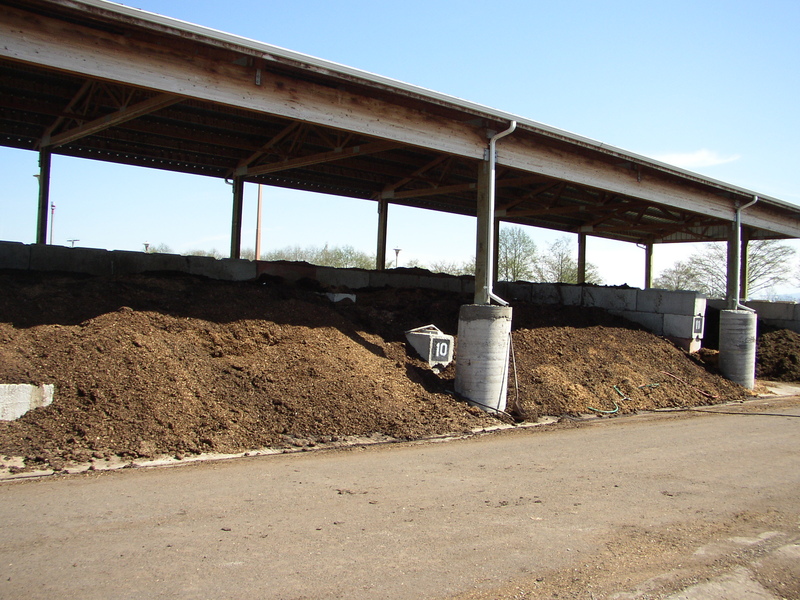 Compost may possess a wide variety of parameters such as carbon to nitrogen ratio, microbial diversity, moisture content, grain size, stability, and nutrient content. These parameters are determined by both process and feedstock composition and can be controlled to produce a product to fit a particular purpose. Compost may also be the aerobically treated residual of an anaerobic digestion process. This material is a specific sub-category of the typical aerobically digested organic residual, which also strongly depends upon feedstock and process for its characteristics. A compost prepared for use as a mulch will require a higher C:N ratio and larger particle size than one intended for a vegetable garden amendment. A roadside stabilization compost will require a larger particle size than one intended to top dress a golf course turf. The use of compost adds organic matter and nutrients, increases the water holding capacity, and increases the microbial diversity of soil systems where human activities such as logging, plowing, or pollution, may have sterilized the ecosystem. Composting produces a valuable product from organic waste materials. Composting reduces the volume of organic waste materials that would otherwise be landfilled. Composting is a natural process which can be performed in a low-tech manner by any person in the community. This accessibility can involve people in their environment and provide an avenue for education about the impact of humans on their environment. In addition the process can be automated using high tech monitoring and equipment to process large quantities of sensitive materials such as biosolids, animal carcasses, and/or food wastes. Composting diverts waste materials from limited landfill volumes. Composting can be used to degrade certain organic contaminents (e.g. N-based explosives) in various media such as soils.